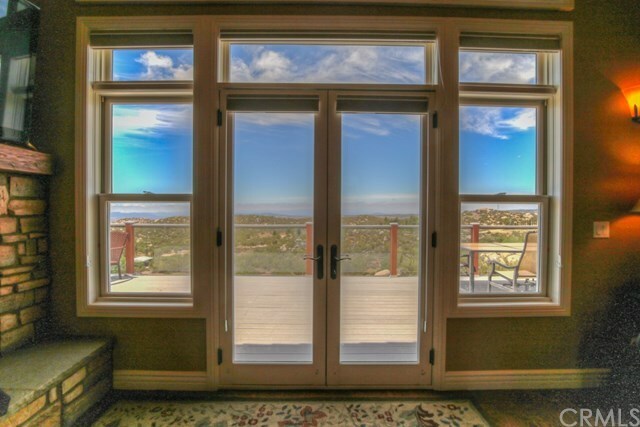 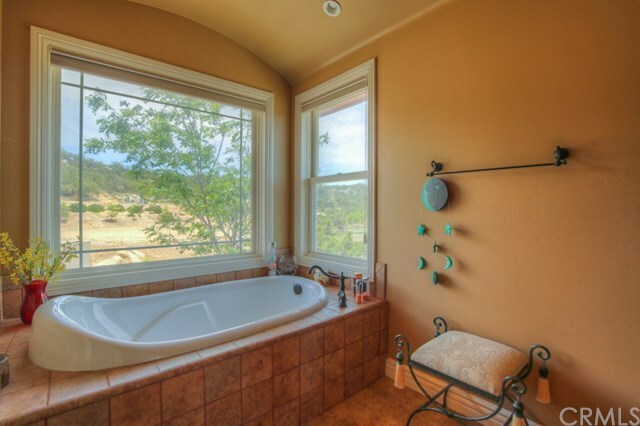 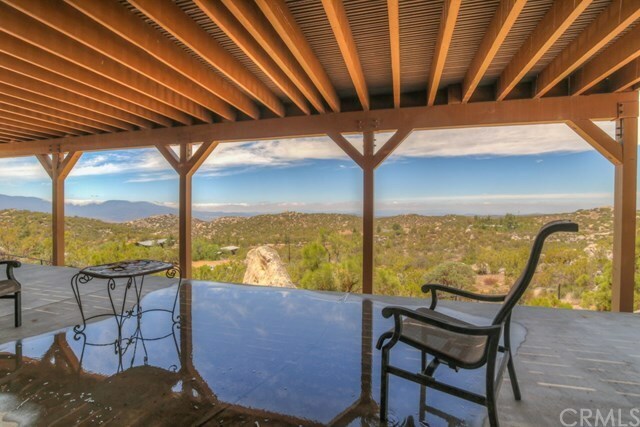 This exquisite residence provides unrivaled tranquility and stunning westward views. 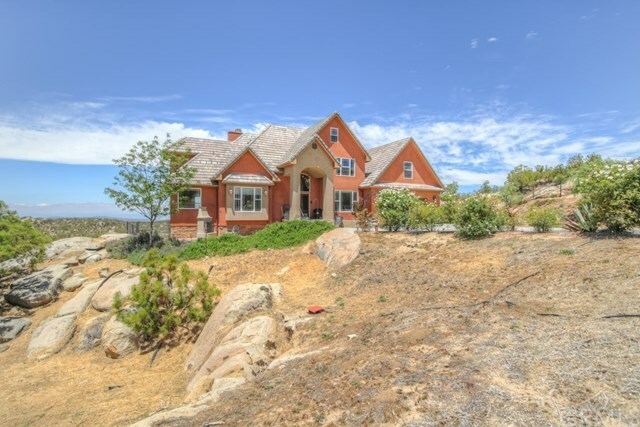 Thoughtfully positioned on 2.82 acres, this refined home with its' unique architectural beauty will impress. 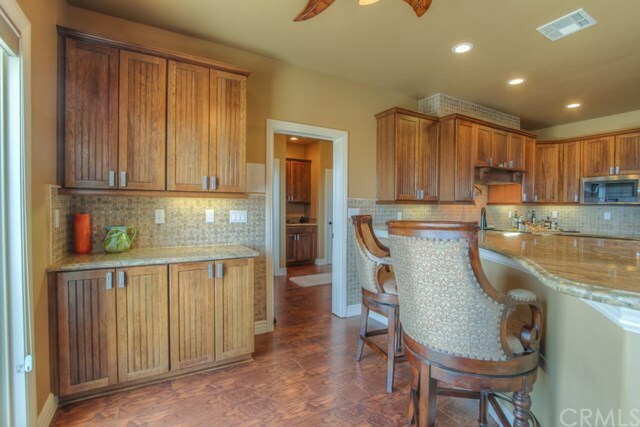 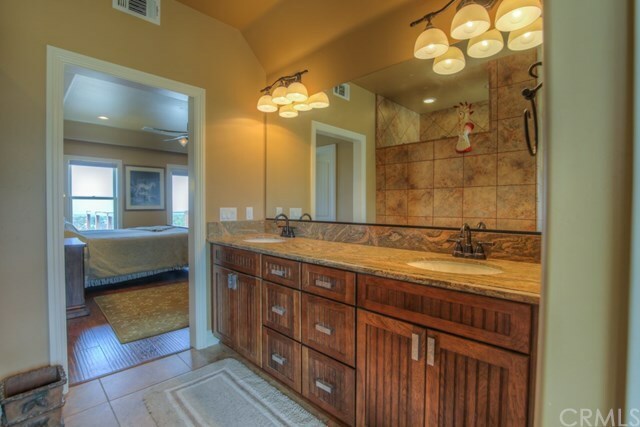 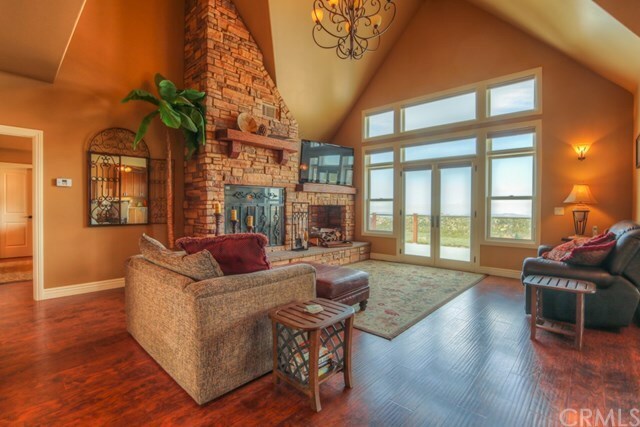 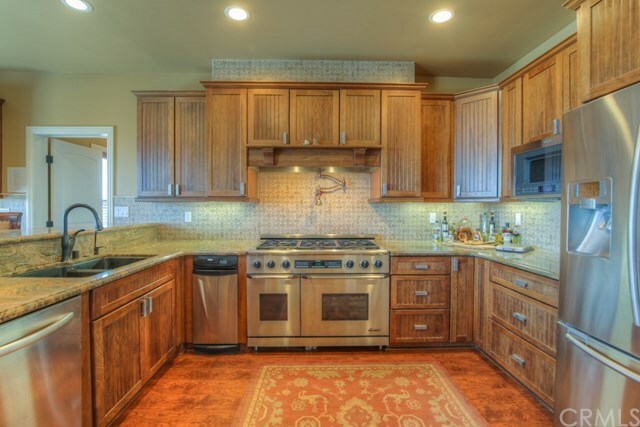 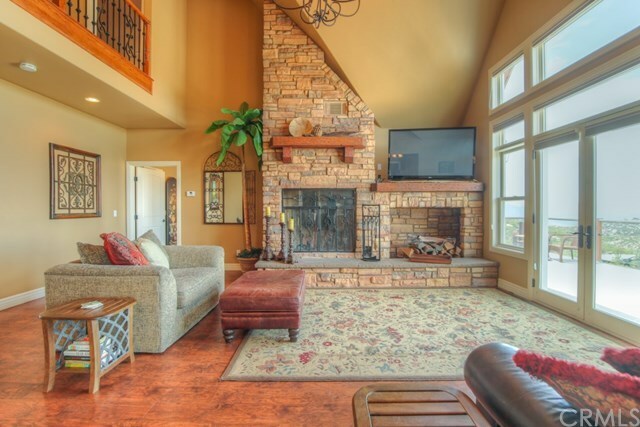 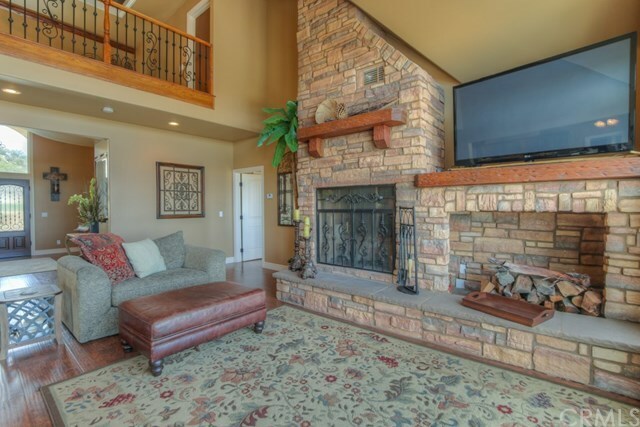 Attention to detail and superior craftsmanship permeate throughout 3,382 square feet. 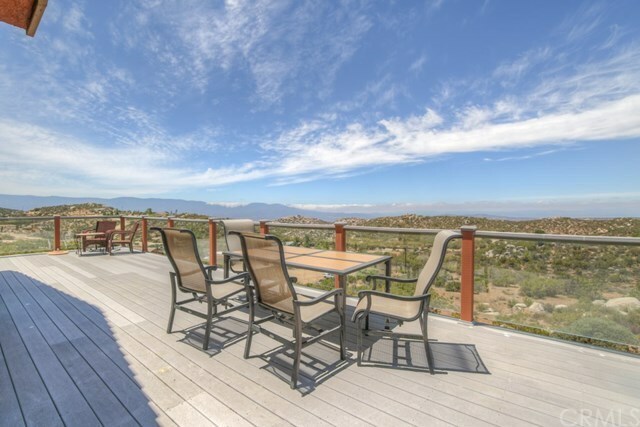 Perched upon the west side of Lake Riverside Estates, the westerly sunset views are enjoyed from oversize windows and an exquisite deck with glass yielding unobstructed valley and mountain views. 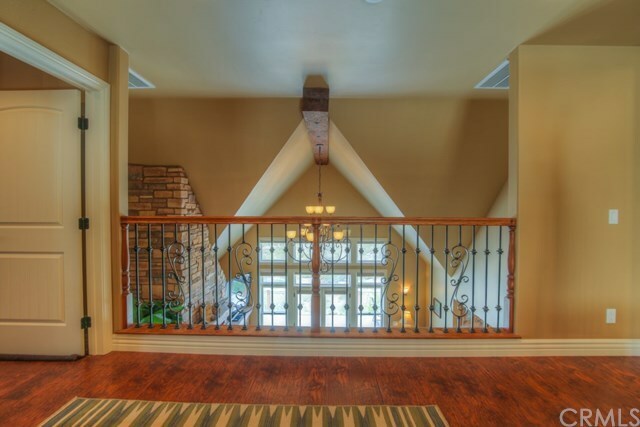 Detail to style and quality throughout with decorative grand wrought iron stair rails, 2 story stacked stone fireplace, wood flooring, custom tile, granite counters, custom cabinetry and fixtures, and bar area. 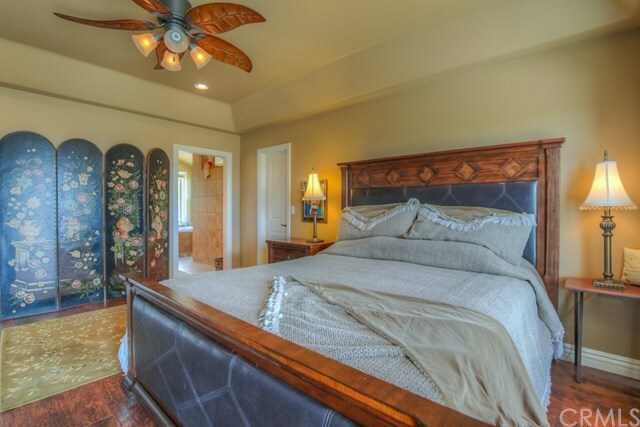 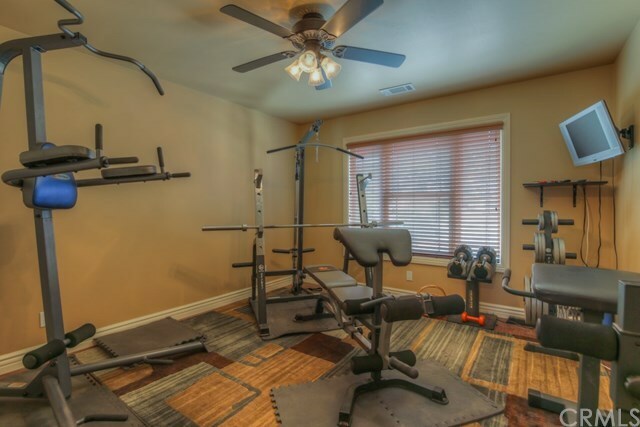 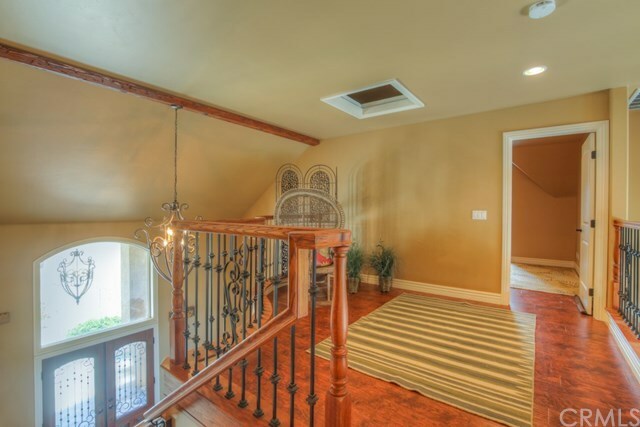 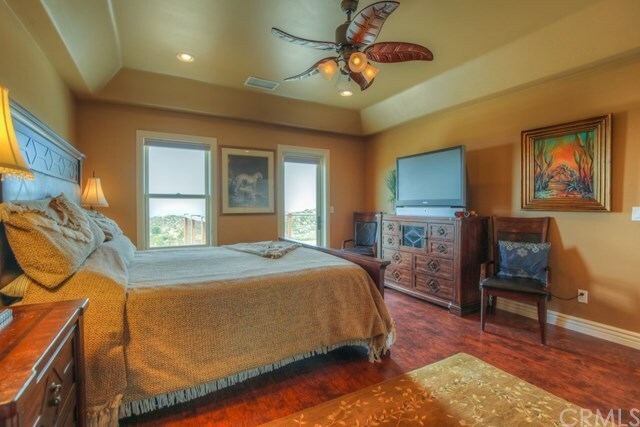 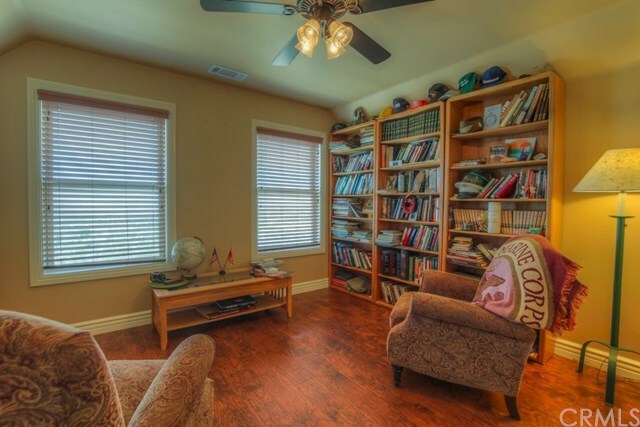 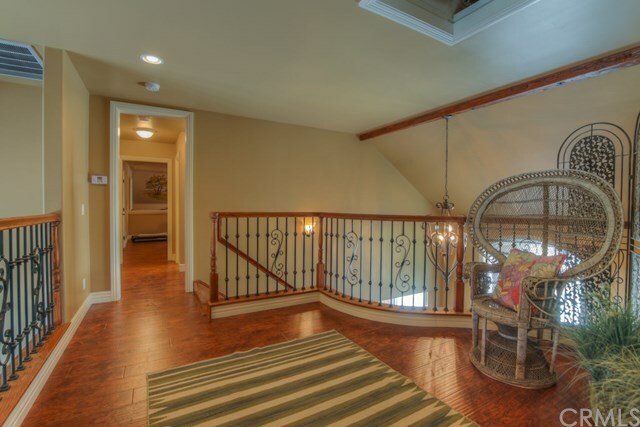 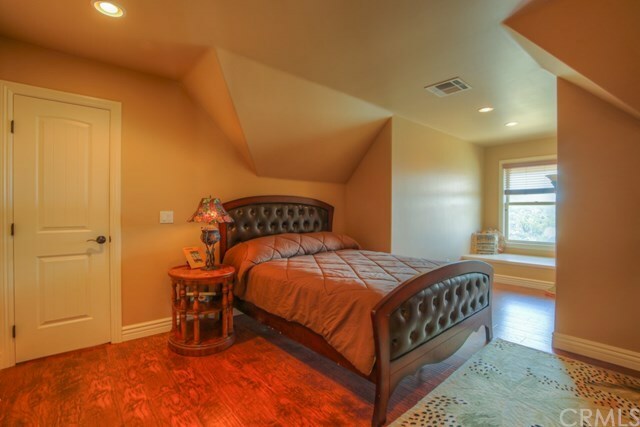 NOT ONLY ARE THERE 4 BEDROOMS, THERE IS ALSO AN OFFICE AND A LOFT/GAMING ROOM AND A SITTING RETREAT AREA. 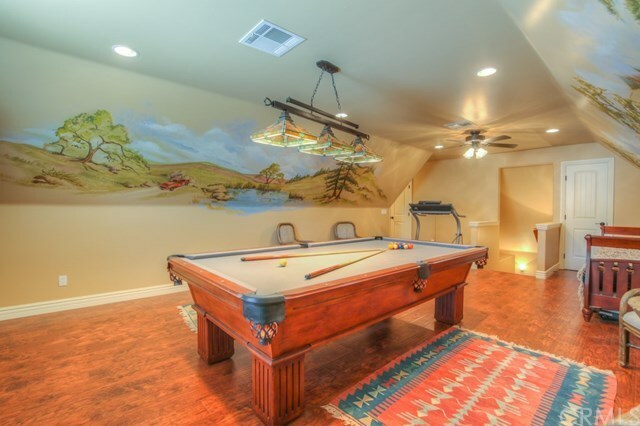 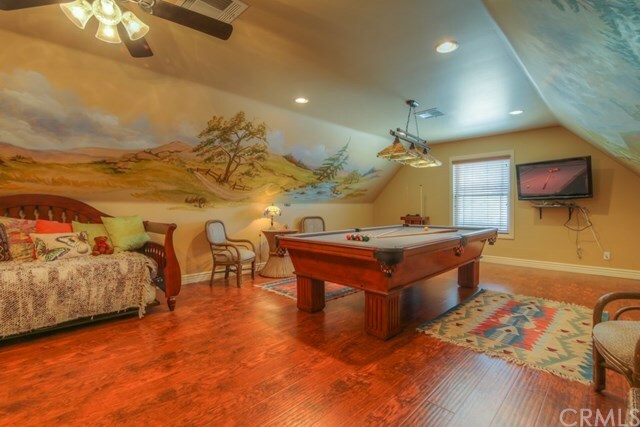 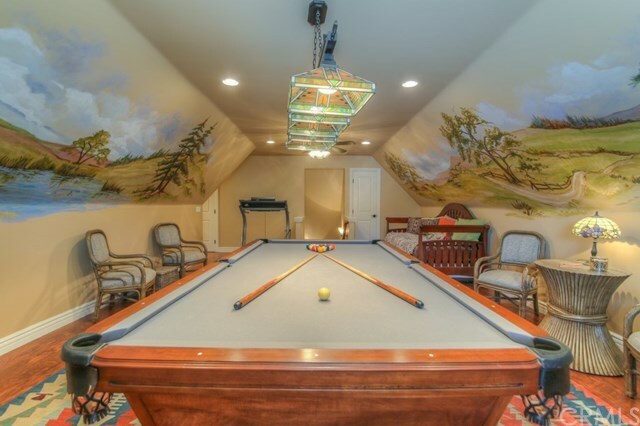 Recreation room with custom painted artistic nature murals "and" additional finished loft. 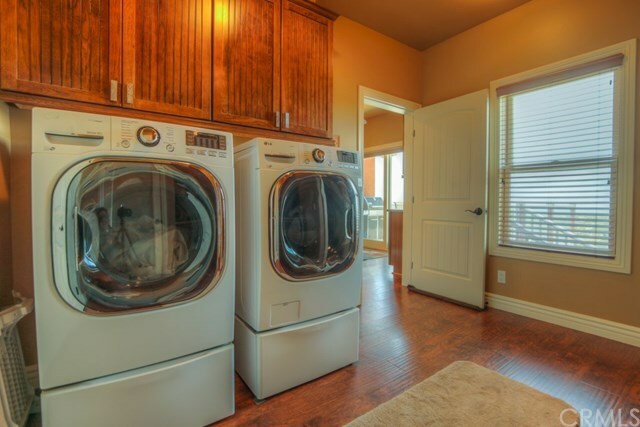 Tandem 859 SF garage spacious enough for large trucks or SUV's, individual laundry room and ample storage. 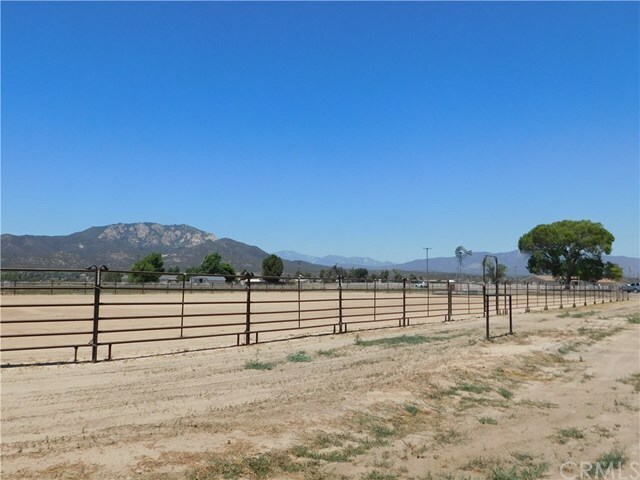 Pads for additional garage/RV garage or horse area/barn, gravel drive, landscaping. 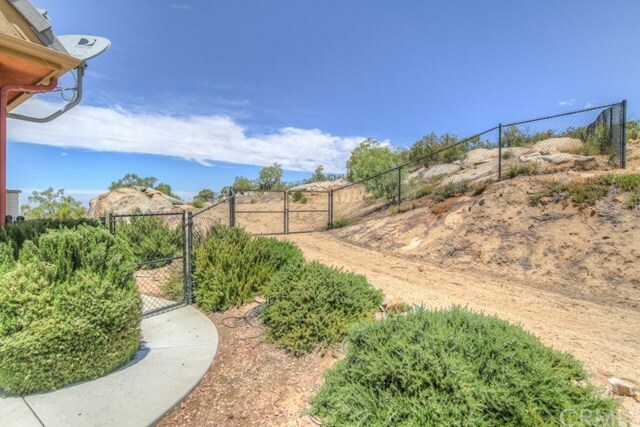 Partially fenced behind home for your doggy family members! 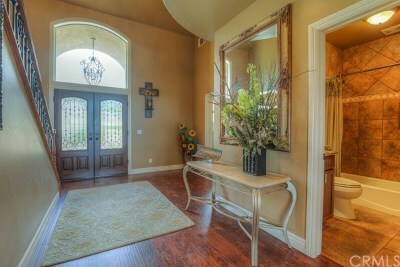 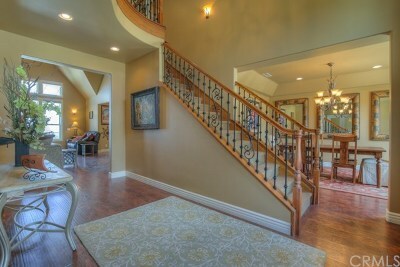 The entry to the home is elegantly inviting. 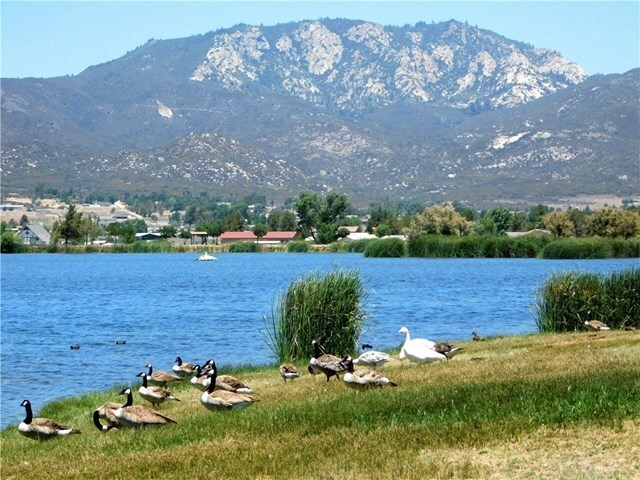 Lake Riverside community is located approx. 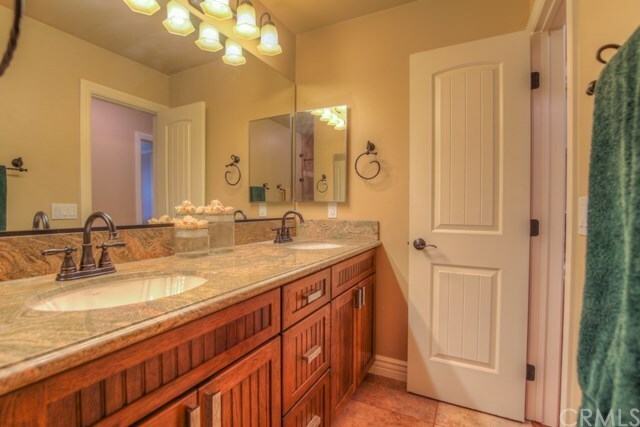 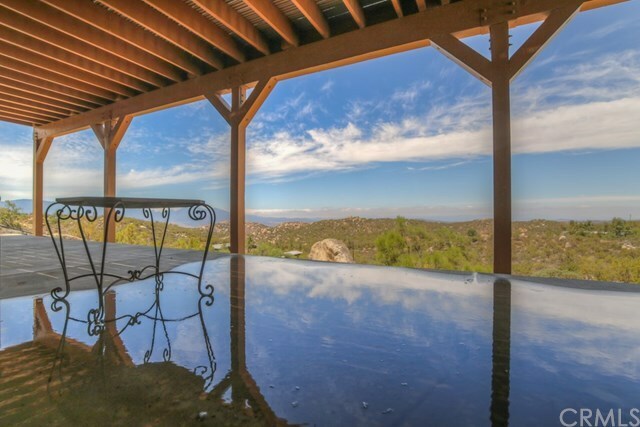 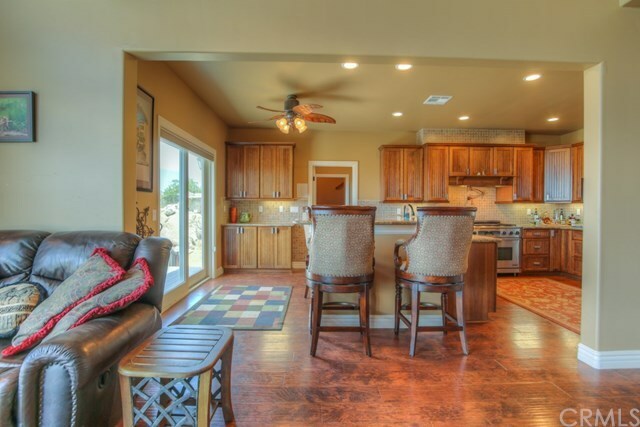 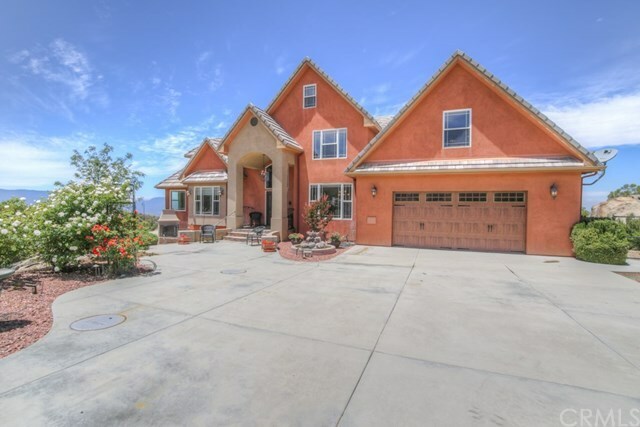 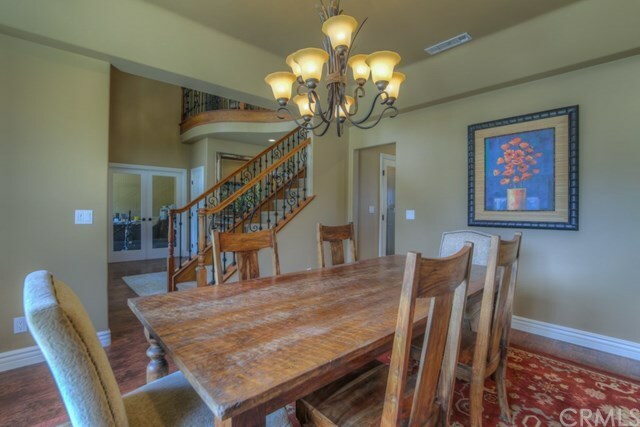 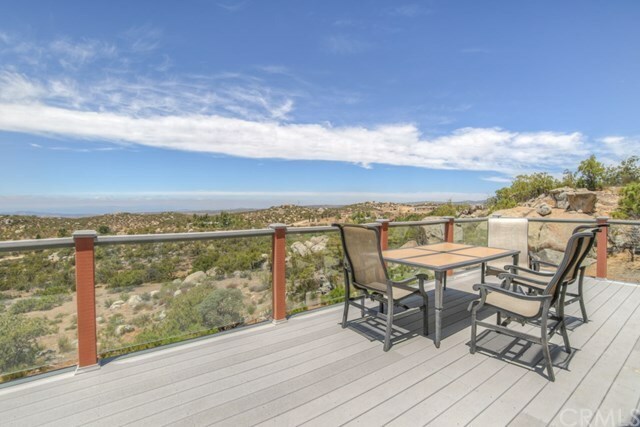 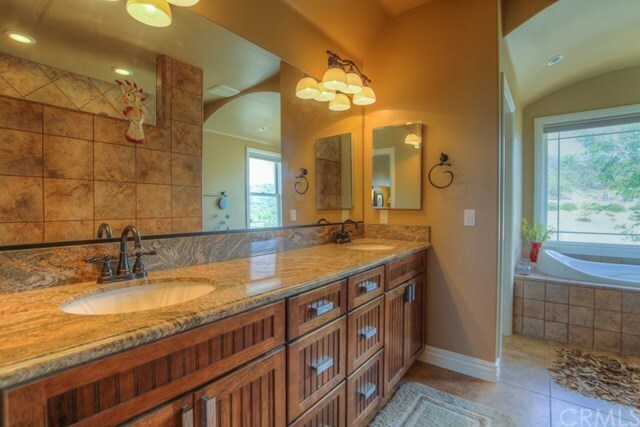 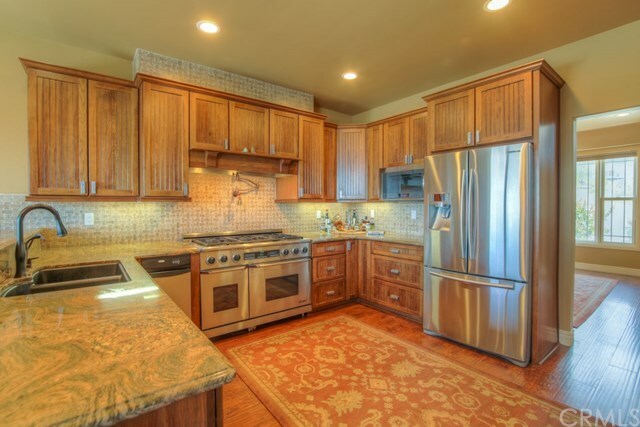 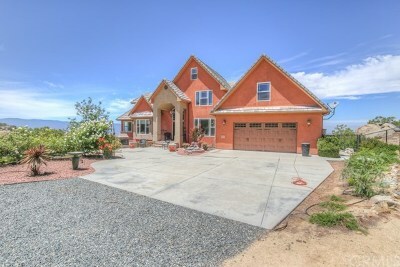 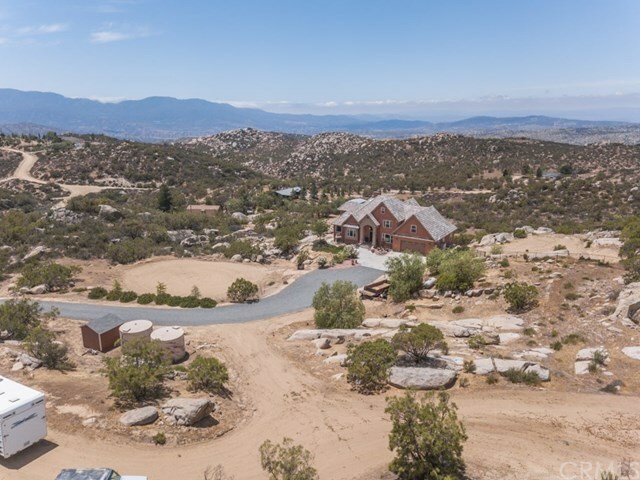 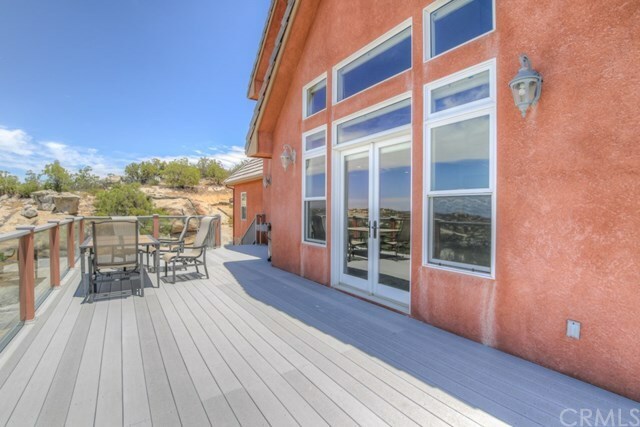 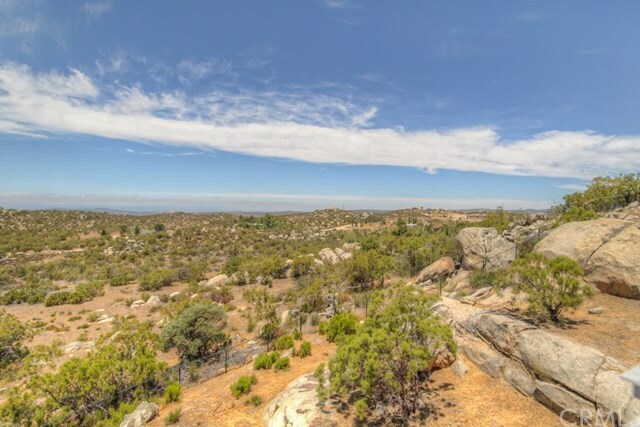 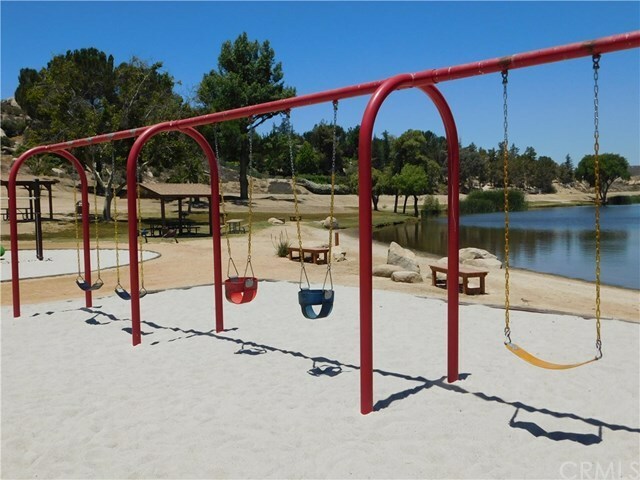 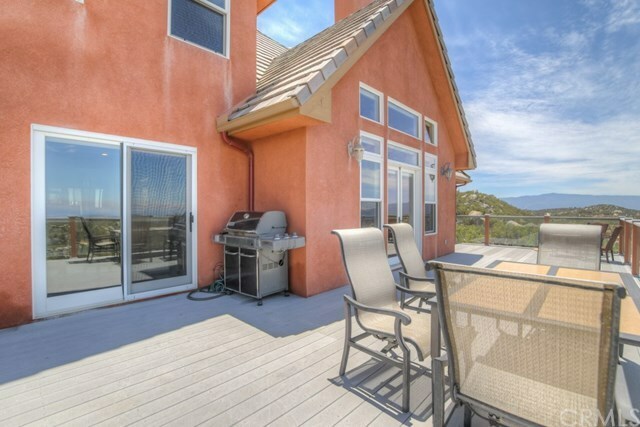 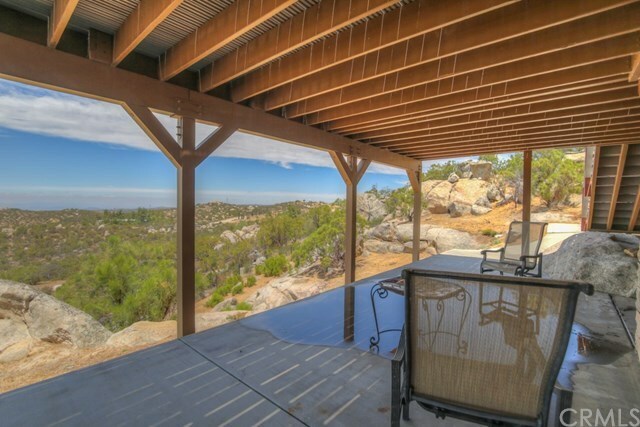 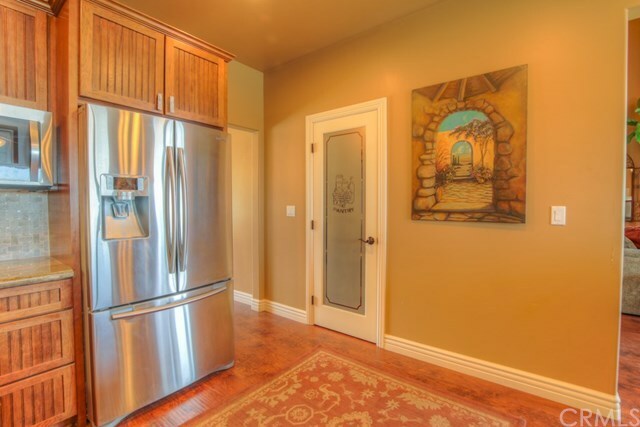 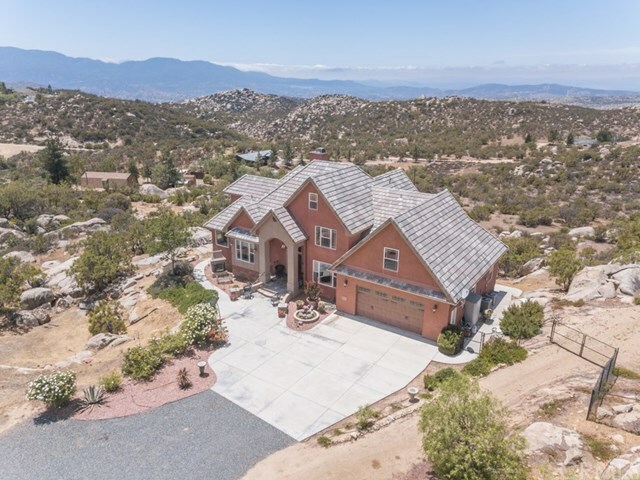 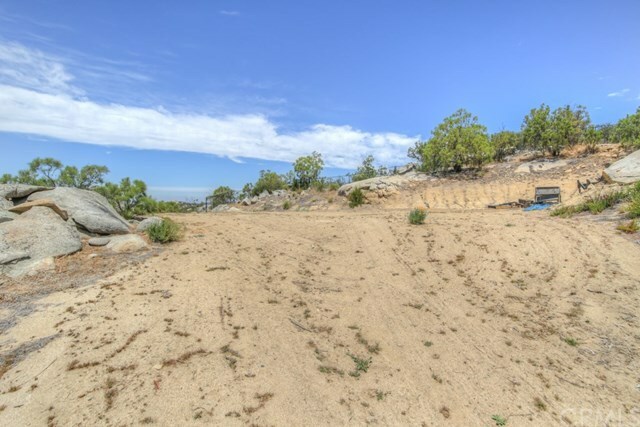 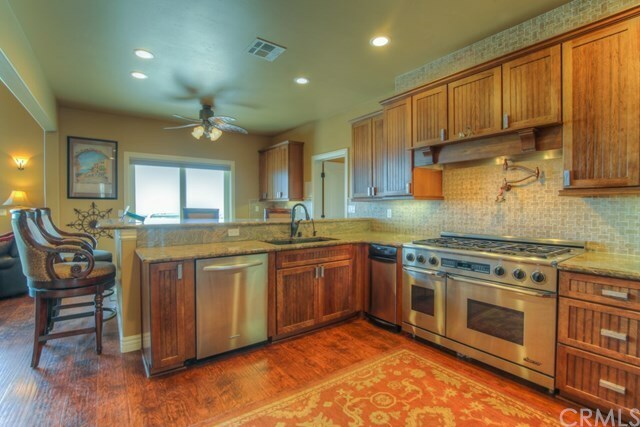 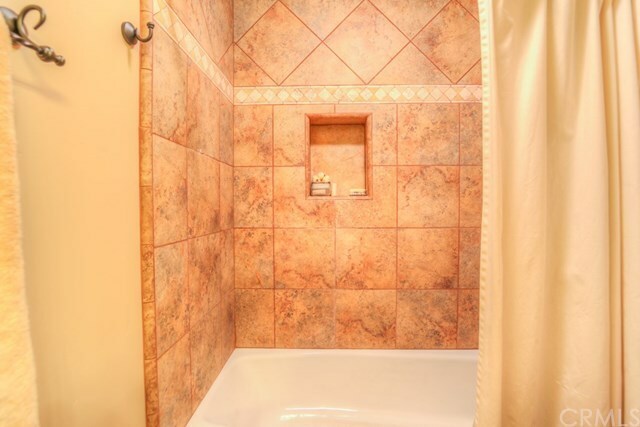 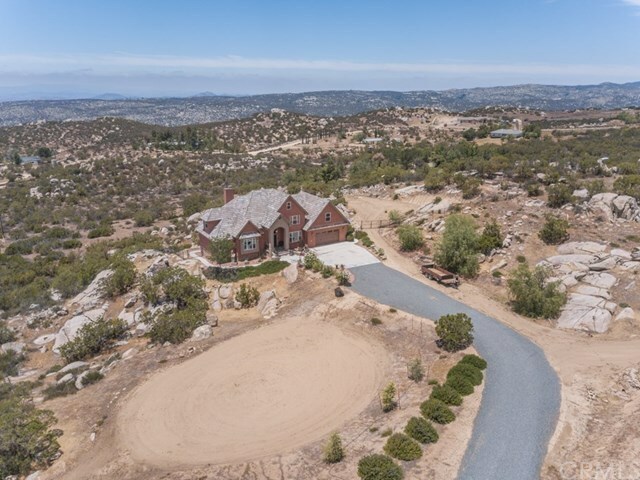 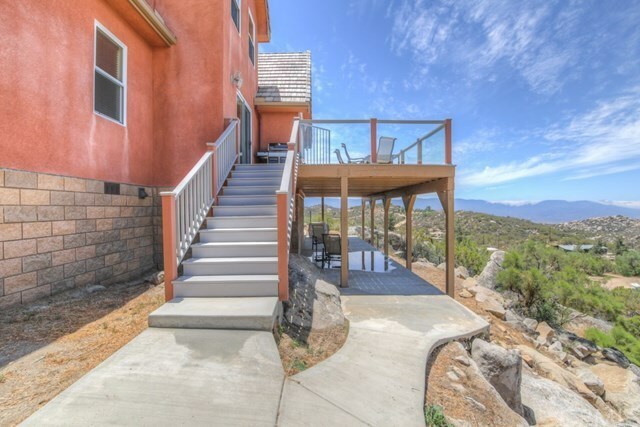 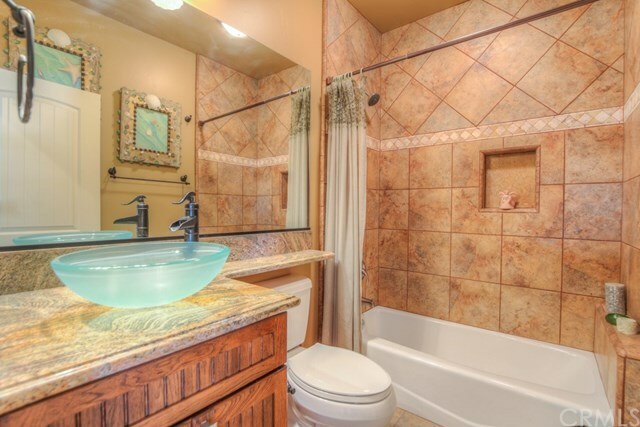 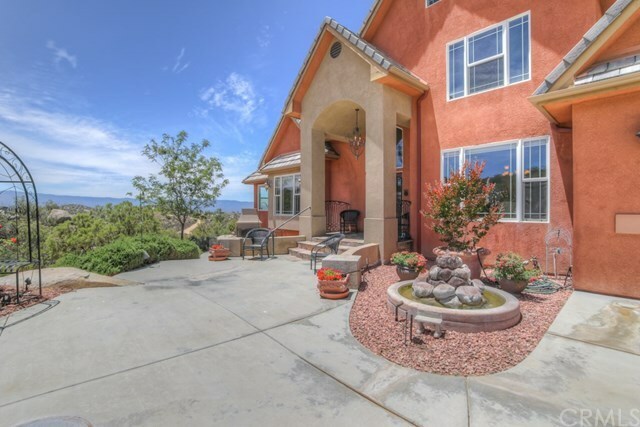 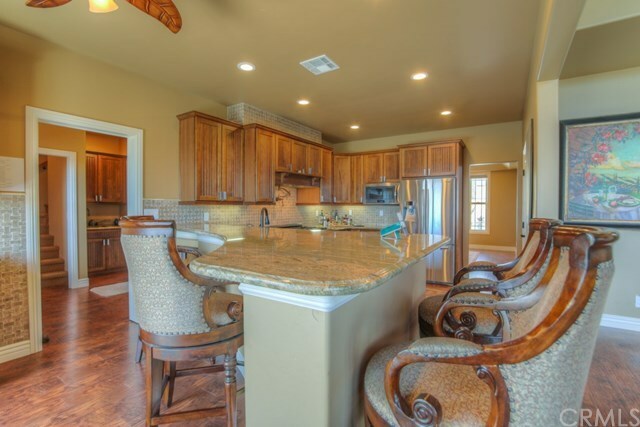 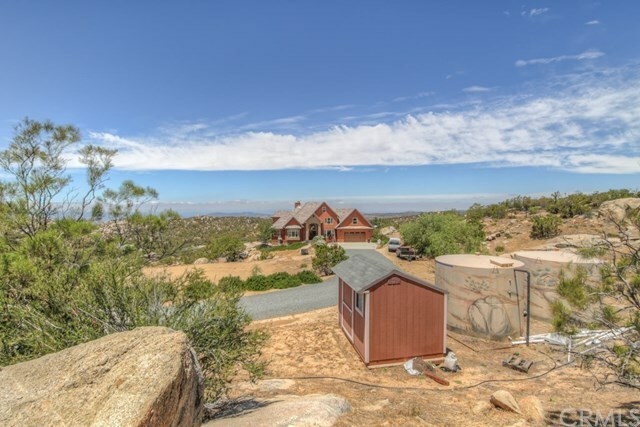 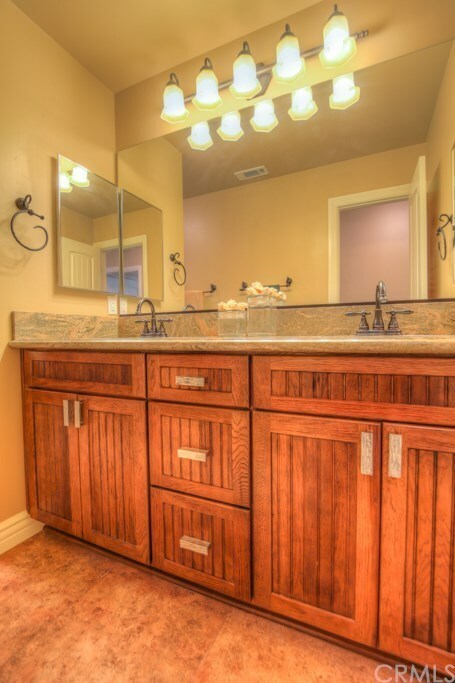 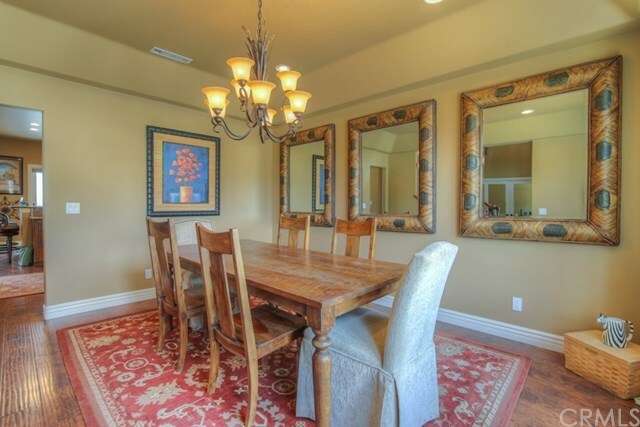 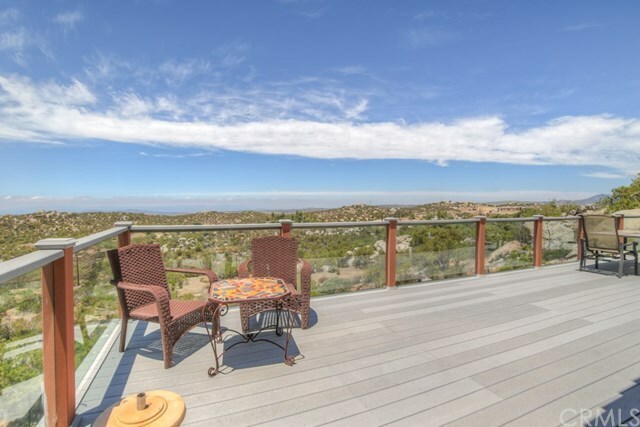 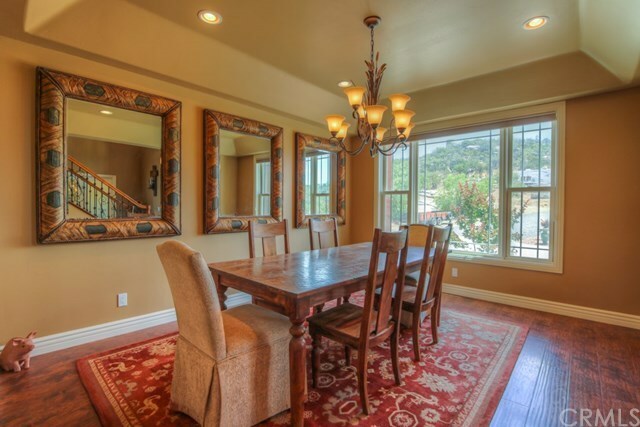 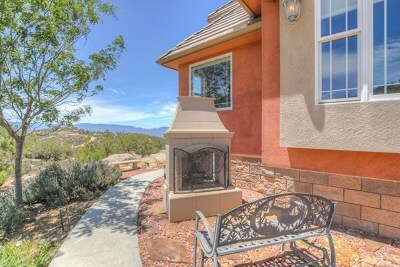 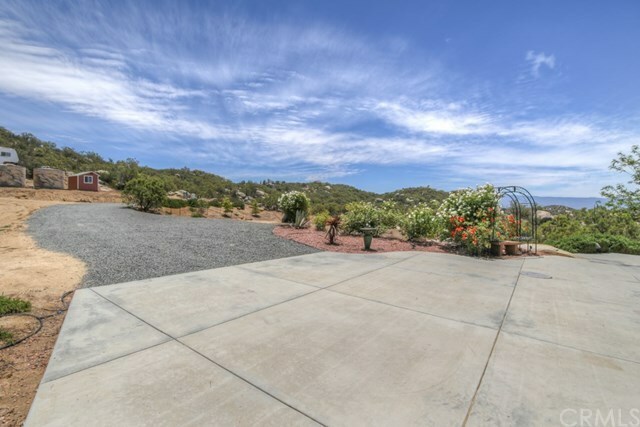 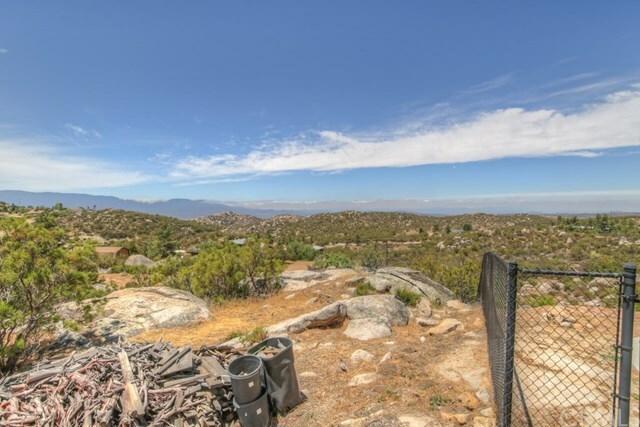 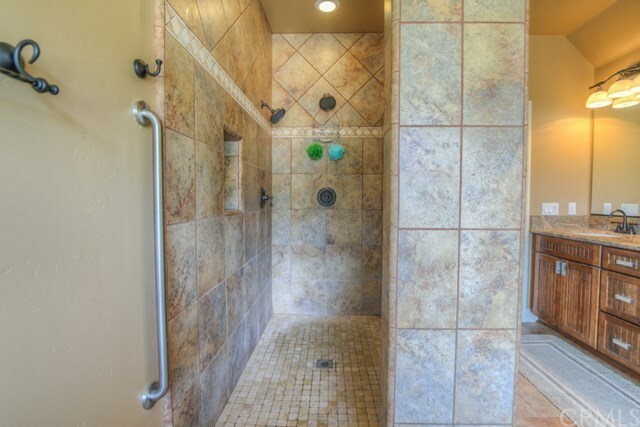 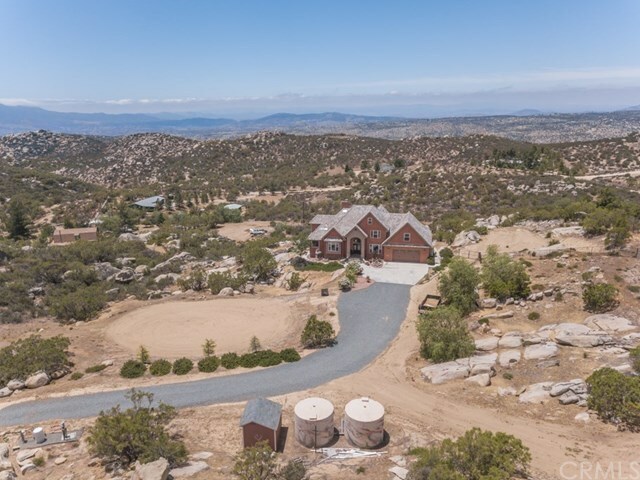 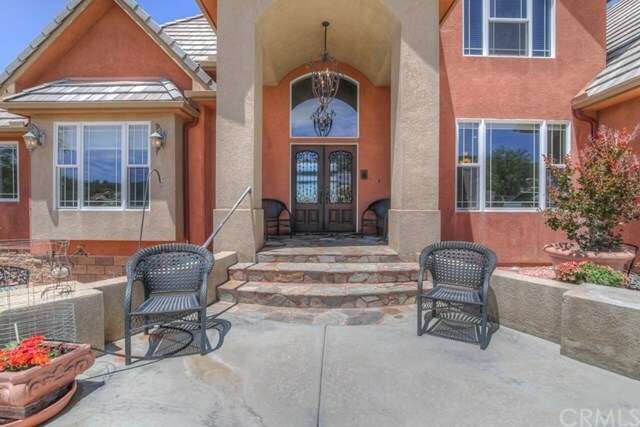 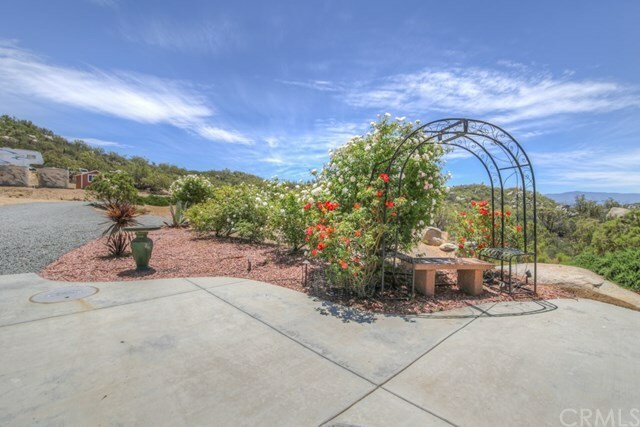 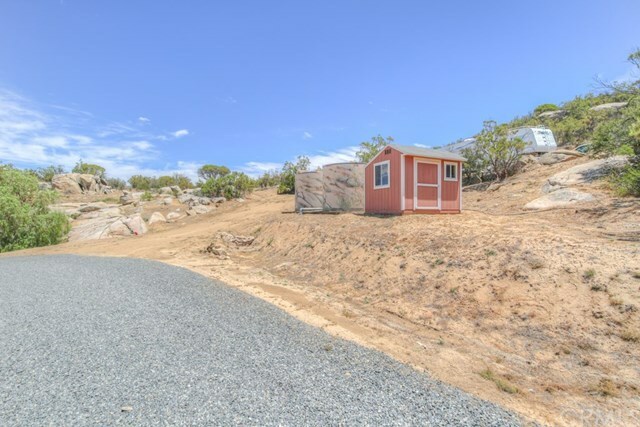 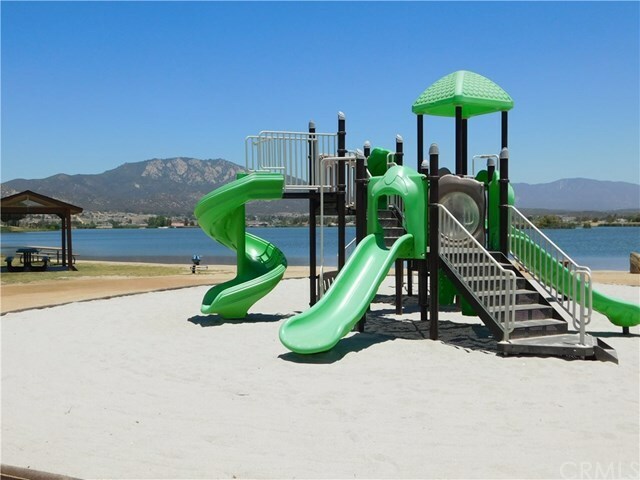 25 min from Temecula wine country and is an easy drive to Idyllwild, Palm Desert or Julian. 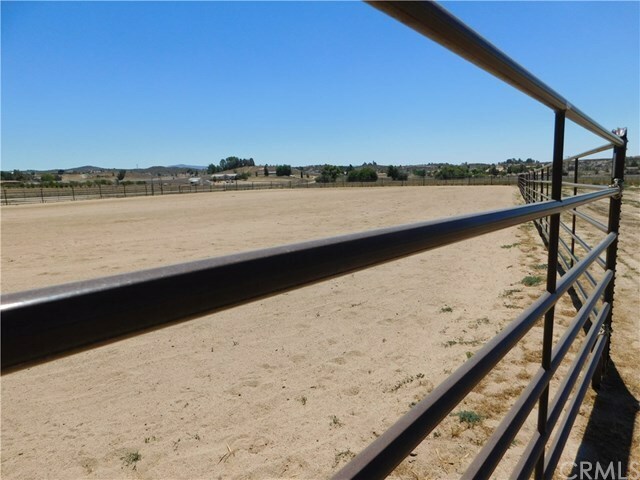 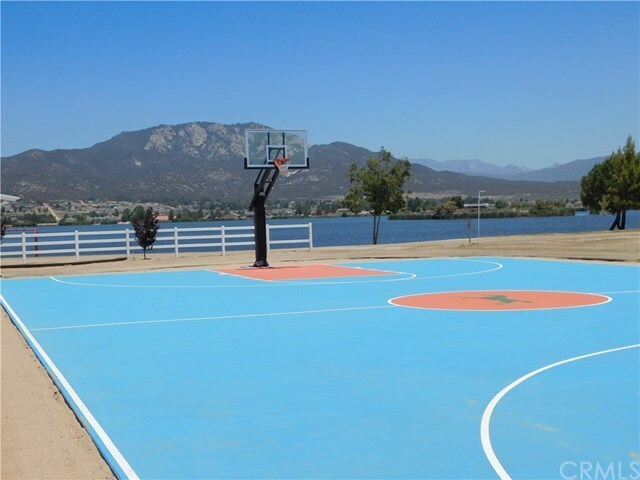 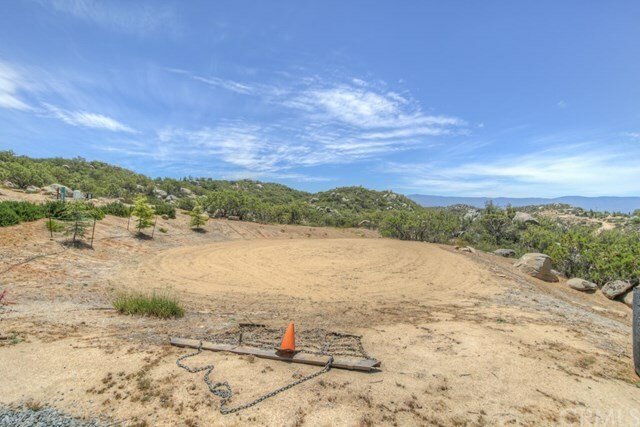 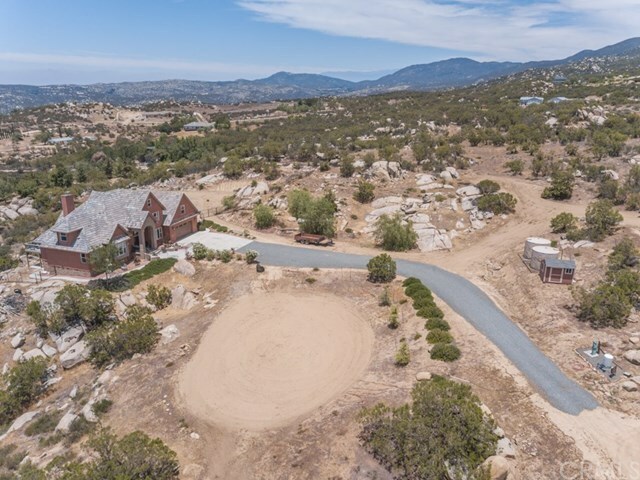 The community offers a 3600' lighted airstrip, equestrian arena, 55 acre fishing lake, community pool, tot lot, and HOA maintained roads.